Great Bear Distribution is a leading UK ambient third-party logistics provider (3PL), providing nationwide contract logistics and supply chain management services to a wide range of companies. Its 495,000 sq. 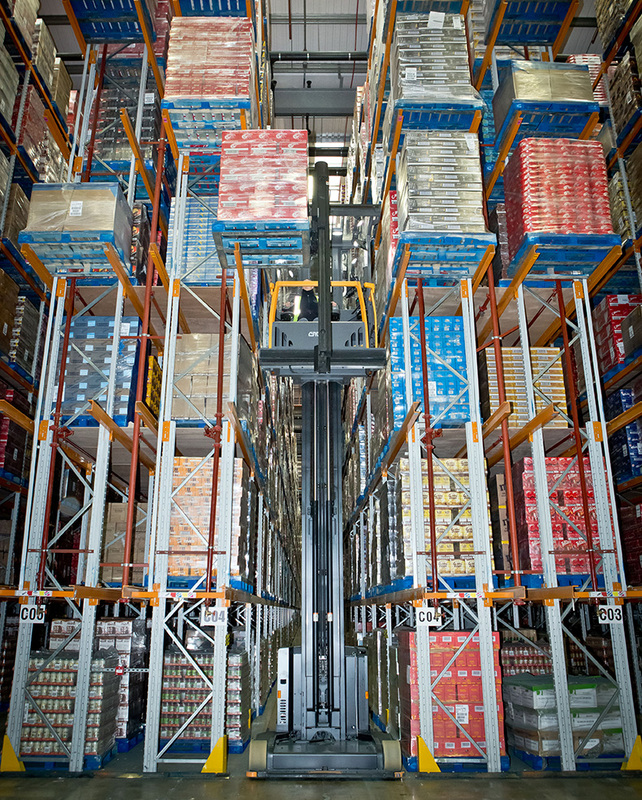 ft. Desborough Regional Distribution Centre in Northamptonshire, UK operates on a 24/7 basis with flexible shift patterns to take into account variable levels of customer activity. Product is received from production lines in the UK, Europe and the Far East and stored at the facility before orders are picked and dispatched to retailers, wholesalers and fulfilment centres across the UK. Following successful implementation of Crown material handling equipment at a sister site in Port Salford, the decision was taken to switch from the incumbent supplier to Crown Lift Trucks. Crown offered an innovative pay-as-you-go option to Great Bear whereby a proportion of the fleet is only paid for as it is used, enabling the site to expand and contract its operations without bearing the often-heavy penalty of fleet redundancy. Following a competitive tender process, Great Bear chose a Crown fleet of 58 trucks, of which 12 are wire-guided TSP Series VNA trucks supported by a range of GPC Series order pickers, FC Series forklift trucks, WT Series platform pallet trucks and ESR Series reach trucks. The wire-guided TSP Series VNA truck is at the heart of the Desborough operation. Featuring Crown’s exclusive MonoLiftTM mast with its strengthened boxed-in sections and heavy-gauge steel, the TSP Series provides the stability needed for operators with less twisting and swaying than with traditional, dual upright masts, thus delivering optimal performance and long-term reliability. 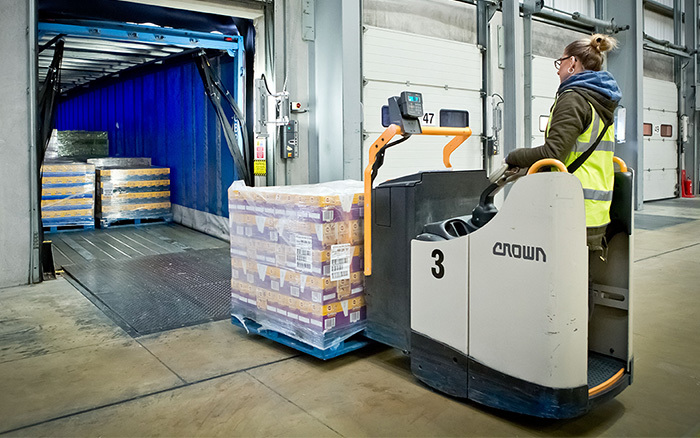 The Crown FC Series 4-wheel electric counterbalanced forklift plays a pivotal role in moving pallets around the dispatch area. Fitted with a double-pallet handling attachment, it offers maximum performance and manoeuvrability.